Defeated Ricky Marvin at Great Voyage 2011 in Tokyo Vol. 4. Marvin vacated the championship, declaring that he wanted to earn it by defeating Katsuhiko Nakajima. Defeated Satoshi Kajiwara at Navigation Sunday 2011 in Korakuen. Nakajima was forced to vacate the championship after undergoing surgery for acute appendicitis. Defeated Jushin Liger in the finals of the Jr. Heavyweight League on the Autumn Navigation tour. Vacated due to a knee injury. Won the championship at Kensuke Office's Take the Dream Vol. 7. Won the championship at Ring of Honor's The Tokyo Summit. Won the championship at New Japan Pro Wrestling's Wrestling World. Defeated KENTA in a tournament final on the Navigation with Breeze tour. 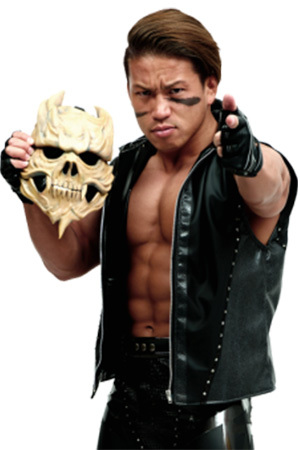 Hashi refused the championship after winning by referee stoppage due to Marufuji injuring his knee. Defeated Juventud Guerrera in a tournament final on the Navigation for the Bright Destination tour.